Why did it take Md. 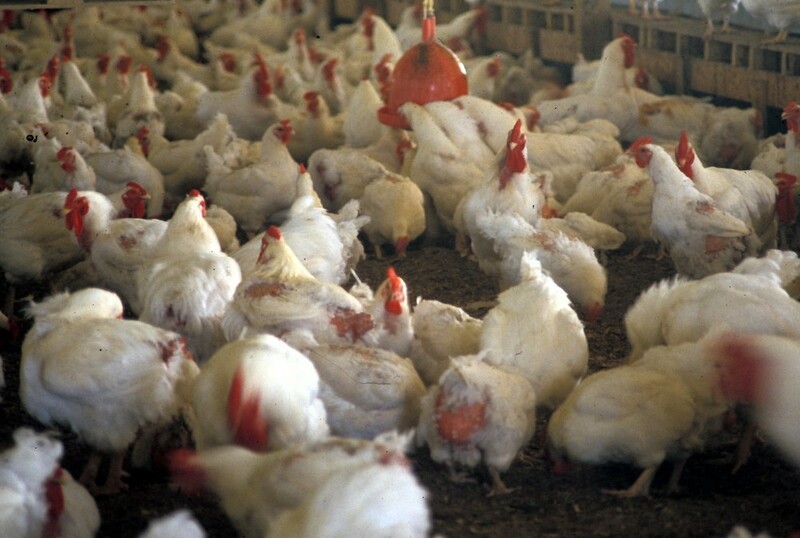 decades to end overuse of chicken manure? The Chesapeake Bay just got an important “win,” with Maryland’s agreement to end the spreading of poultry manure across sections of its Eastern Shore. Everyone should be happy about that. But no one should be satisfied. We could have had this win a decade ago. Understanding why we didn’t is important for ensuring the current agreement works. The manure problem became evident by 1997. Outbreaks of toxic algae caused fish kills and memory loss in humans along Eastern Shore waterways. Legislative hearings and a gubernatorial commission’s report followed. These shone a spotlight on the overuse of poultry manure in gross excess of what crops needed. More than half of the farmers surveyed indicated they had a disposal problem — more manure than they knew what to do with. There was scant accountability. By 1997, science showed how the saturation of Eastern Shore farm soils with phosphorus — from too much manure — was a bigger problem than realized. At high levels, soil-bound phosphorus dissolved and escaped to waterways. Maryland adopted new rules that were strong and clear: By 2002, all farmers would have plans to “fully and demonstrably” ensure that nitrogen and phosphorus didn’t exceed what crops needed and soils could retain. There would be extensive monitoring and evaluation. Maybe 2002 was ambitious. But the problem and its solutions had been recognized. Why did it take until 2015 for the rules to finally be put into action? And why do solutions have to wait until 2024 to be implemented? Why so long? Several reasons stand out. The culture of agriculture — which includes the Maryland Department of Agriculture, the University of Maryland’s College of Agriculture and Natural Resource, and Maryland’s influential poultry industry — was, and is, primarily protective of farmers. This might not matter if the Maryland Department of the Environment and the EPA had full and clear jurisdiction over agricultural pollution; but they don’t. Post-1997, agricultural interests were never interested in gathering and making available the data on what was really happening on farms to control pollution. Accountability, transparency, verification — it was and still is like pulling teeth to get the true picture. The poultry industry successfully spun the disposal problem farmers faced — mountains of manure that where more than the land needed — calling manure an excellent fertilizer (it is — up to a point). “There is no excess manure because farmers are using it all,” was the mantra. And University of Maryland ag scientists were dismayingly reluctant to challenge this, though they knew continued manure use was just building up pollution in soils. Two scientists who did excellent work highlighting manure solutions, Russ Brinsfield and Ken Staver, of the University of Maryland’s Center for Agro-Ecology, were ignored for years. All of this delayed any real push for meaningful alternatives to take manure off farmlands. Two Maryland governors, both strong on environment, booted chances to turn manure into energy. Parris Glendening gave short shrift to a manure-burning power plant for which a site was available; and Martin O’Malley’s administration spent the last few years contracting with an unqualified low bidder whose project has fizzled. He was not alone. The U.S. Department of Agriculture trotted out tough new proposals to limit spreading manure several years ago, but withdrew in the face of agricultural protest. The EPA’s Chesapeake Bay Program was slow to include pollutants like agricultural phosphorus in their cleanup priorities. Environmentalists, too, did not get their act together on the farm manure problem. The Chesapeake Bay Foundation was trying a less confrontational approach to agriculture. Other groups like Food and Water Watch seemed opposed to solutions that would perpetuate large-scale chicken farming. A failed lawsuit by other groups against a chicken farmer muddied any focus on solutions. Are we ready to move forward? Are we now prepared to move forward real solutions to the Eastern Shore’s manure overload? Maybe. Everyone’s on board with the science. The recent agreement to limit manure spreading is a valid platform on which to build. Perdue, the big player in Maryland’s poultry industry, has what seems a viable proposal to convert excess manure to energy and more manageable forms of fertilizers. But vital players like Maryland’s Department of Agriculture remain in the impossible role of both supporter and regulator of farmers, and the monitoring, data collection and widespread transparency as to what’s actually happening on the land remains in the realm of good intentions. We must learn from the past, and it’s not about blame and hand-wringing. Bigger farm pollution problems than Maryland’s remain upstream in Pennsylvania, and in Virginia and Delaware. Solutions can’t wait for more decades. Maryland’s Gov. Larry Hogan says he will be good to the Chesapeake Bay. He says he will be good to Chesapeake Bay watermen, too. He will find this a difficult balancing act.